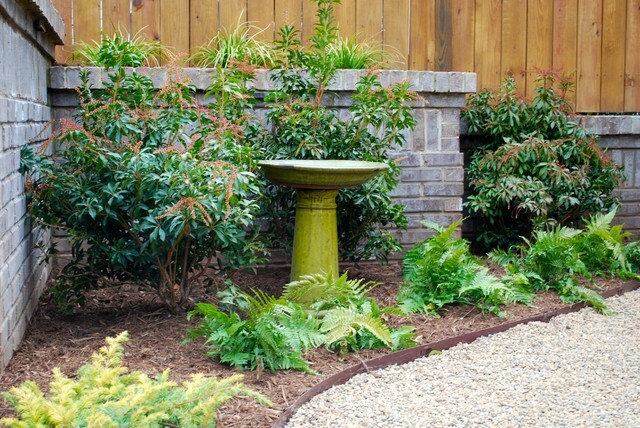 The homeowners' bird bath receives a new life in this little vignette along the newly installed gravel pathway. Photo taken February, 2015, just after installation. Photo by Jay Sifford. The homeowners' bird bath receives a new life in this little vignette along the newly installed gravel pathway.